On this episode, we finish our conversation with Wally Holland on turning point jams in Phish's career. We also talk Sci-Fi novels, confined spaces, and whether Lawn Boy even matters. Check out the episode here. We have something really exciting this week. 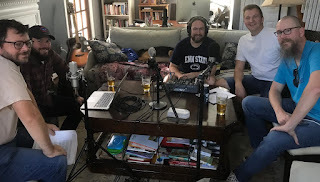 We were joined by Brian and David from Beyond the Pond, a podcast that we really enjoy and respect. These guys bring their immense music knowledge to this episode—and part 2 of our discussion will be on Beyond the Pond. So be sure and subscribe today, if you're not already subscribed. The conversation touches on our musical histories, our favorite music growing up, and of course, how we stumbled upon Phish. Really fun stuff. You can listen to this episode directly here. 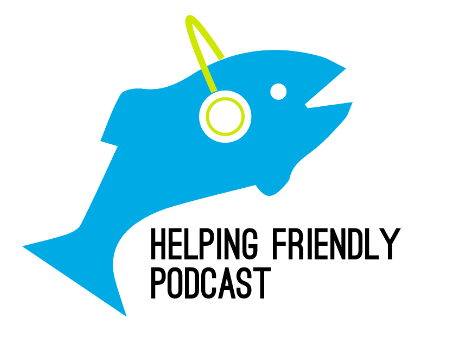 Want an HF Pod t-shirt? Check out the men's and women's versions here. If you can, please support HF Pod Plus, where we do a couple extra podcasts every month. And if you haven't yet, review us on iTunes. It helps other people find the podcast.